Sited near the centre at the park, just off Chesterfield Avenue and close to àras an Uachtaráin is the residence of the ambassador of the United States of America to Ireland. A grand set of entrance gates and mature trees and bushes obscure the main house, but it can be glimpsed from the southern parkland. This house is surrounded by sixty two acres of ground and was completed in 1776. 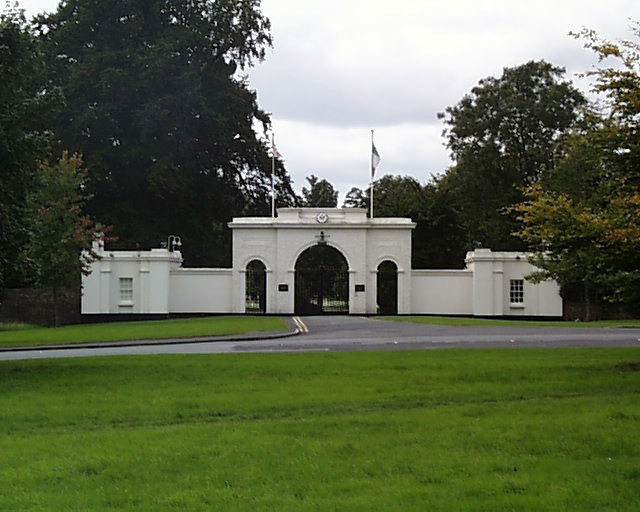 Built by Col. John Blaquiere, Chief Secretary of the British government and Bailiff of the Phoenix Park. The house of Col. Blaquiere, purchased by the British Government in 1782,was made the official residence of the Chief Secretary, and remained so until 1922 when Sir Homer Greenwood, the last holder left office. 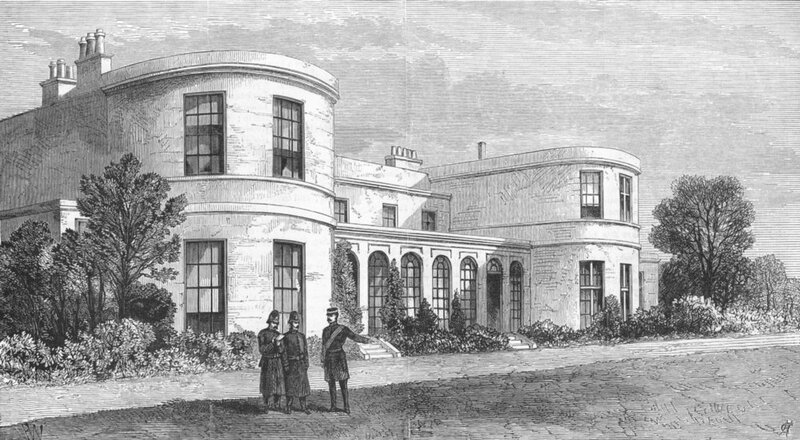 Among the prominent Chief Secretaries who had occupied this residence were Sir Arthur Wellesley, later to become the Duke of Wellington, Sir Robert Peel, Lord Castlereagh. Lord Bryce, later British Ambassador to the United States, W.FI. Smith. When the Duke of Marlborough was appointed Viceroy in 1878, Lord Randolph Churchill joined him as private secretary. Young Winston as a small boy, roamed the gardens and woods and took great delight in riding up and down the paths in his donkey and cart. Sixty nine Chief Secretaries lived here from 1776 until 1922 when Ireland gained it’s independence. The lower ground floor of the residence comprises a ballroom, reception and dining room, library, office, kitchens pantry, staff room and laundry. Six suites, bedroom, bathroom and dressing room), plus a sitting room are located on the upper floor. The Residence is furnished with furniture and equipment obtained in Ireland, the United States and many other countries.